San Pancho will celebrate with a colorful family-friendly fiesta filled with art, education, ecology, love and fun, proving once again why it’s the Cultural Capital of the Riviera Nayarit. 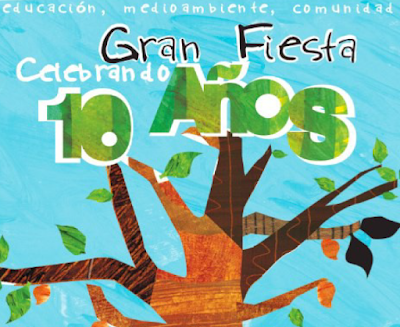 On February 13th the Entre Amigos Community Center will celebrate its 10th anniversary with the “San Pancho’s Community Festival.” San Pancho, the Cultural Capital of the Riviera Nayarit will be filled with art, family-friendly fun, love and happiness. An “Alebrijes” themed parade will begin at 4 p.m. with the participation of some 300 people. It starts at the facilities at Entre Amigos and then makes its way to the Plaza del Sol, where there will be several celebratory activities, expos and games both educational and eco-friendly. The Festival’s inauguration begins around 6:30 p.m. with plenty of surprises, including shows and a verbena. Around 9 p.m. there will be a Donation of the 1,000+ Timeline Photos to the residents of San Pancho, finishing up with banda music. The activities are free of charge and all the art on display will be handmade, the food traditional and the ambiance laidback—the usual vibe in San Pancho. The Riviera Nayarit Convention and Visitors Bureau would like to congratulate Entre Amigos and all the organizations that have dedicated themselves and their work to San Pancho. Don’t forget to visit www.entreamigos.org.mx and www.facebok.com/entreamigossanpancho.